Come hang out and get a feel for this beach side community this weekend at my Open House 687 Evergreen Ln Condo For Sale in Port Hueneme CA Sunday November 22, 2015 11am - 2pm. Listing courtesy of EXIT Platinum Realty. Learn about condos and why they are a great opportunity for families looking to own for the first time. 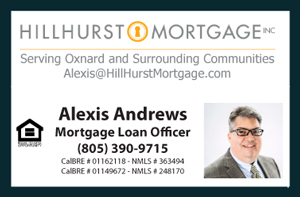 Historic low interest rates together with Down-payment programs such as those managed by VCCDC (Ventura County Community Development Corporation) create unique opportunities for first-time home buyers driving up the demand for these properties. Everyone Welcomed! If you need more details please feel free to reach out for a Free No Obligation Consultation.